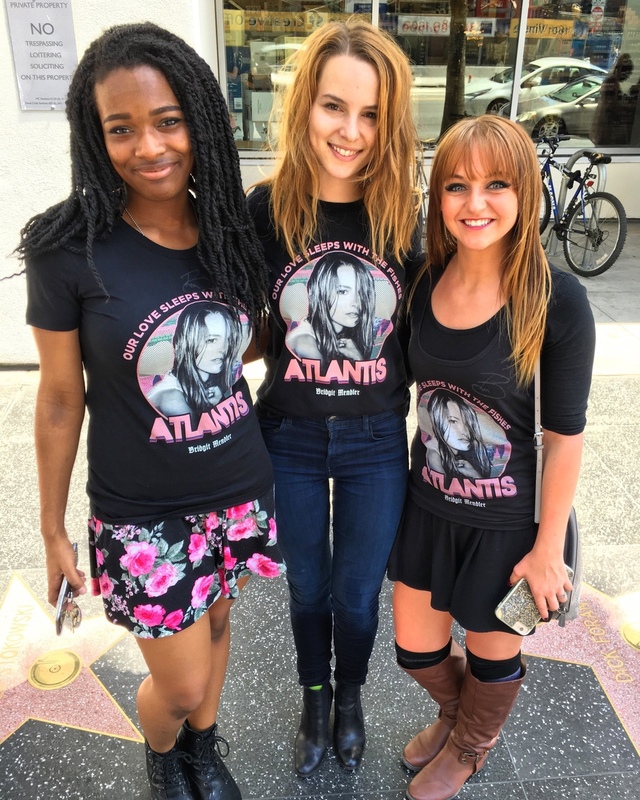 "I've designed this new limited edition tee based on my new single, "Atlantis." Unisex, tank-top and crewneck sweatshirt also available in style-drop down menu. If you missed your chance to swim in a fountain to grab Bridgit's limited edition t-shirt, fear not dear fans, we've got loads of styles and sizes available for you - no swimming required. Check Out the video below of Bridgit signing and hiding the shirt below.